Most authors know that even the good guys, the main characters, should have some character flaws. But the question is, how much is too much, how little is too little, and how can you use flaws to your readers’ and characters’ advantage? Why should heroes be flawed anyway? Because your readers are. If your reader is going to walk in your characters’ shoes for 300+ pages, they have to be able to relate to them. But I’ve read many books where the hero was flawed, but in an endearing, not-really-a-flaw way. You know the type. Their flaw is really a strength in disguise. This is cheating. It irritates me. Or even worse, I’ve read and watched many books/movies recently where the main character has a few believable, relatable flaws–which was great–but the love interest is absolutely perfect. If your hero, heroine, or love interest is Miss/Mr. Perfect who does everything right, even when life pours down on them, your reader will feel like your book is phony. Your book will feel fictional because it is fictional. Real people have real flaws, so your characters should, too. Plus, the best stories have a hero who overcomes something on the inside, not just the out. Right? That’s what makes them a total stud. As readers, we want to think, “I’m kind of a loser right now, but they overcame their issue, so maybe I can overcome mine. I can become the hero in my own story.” I love finishing a book and wanting to be a better person. So why aren’t more authors doing this character flaw thing right? Because they (we) are worried about crossing the invisible boundary from flawed character to drive-you-nuts character. The last thing we want is readers to hate the hero or love interest. That’s the death of a reader–which in turn, is the death of the author. 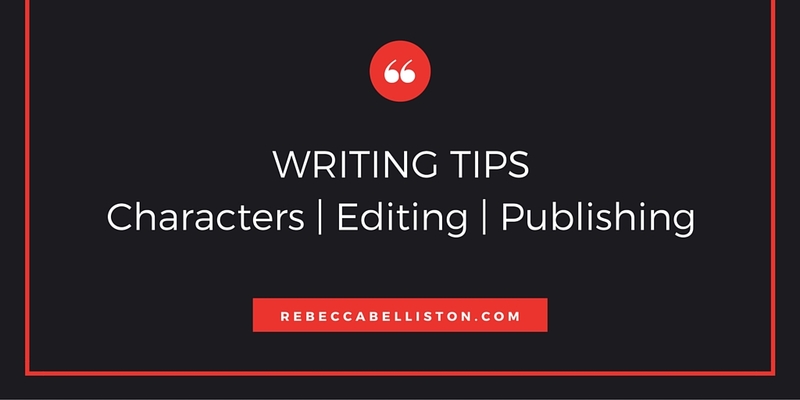 But these four steps will help you make your characters relatable and endearing. Go ahead. Real flaws. Moody. Liar. Alcoholic. Hoarder. There are millions of flaws to choose from. Pick at least one good one, and if you want a more three dimensional character, pick a couple of small ones just for fun (snort when they laugh, sleep too long). Don’t just do it for the main character either. The love interest. The parent. Best friends. If they play less of a part in the story, you can spend less time on their flaws, but it’s still good to be aware of them. A lot of authors stop after Step 1 because, as I mentioned, they’re petrified of making a character so flawed the reader will hate them. So, even when they create a great flaw or two, they protect that little flaw–and the character. Don’t protect the flaw. If you create it, cherish it. How? The character must make mistakes and the mistakes MUST HURT. There must be consequences for having this weakness, and preferably the consequences affect the main plot. If your character has a propensity to lie, make them tell one that ends up costing something BIG and takes them three steps backward from the story goal. Consequences make characters think, “Whoa, this stinks. I need to shape up, change, and become a hero.” (Even if this is done subconsciously.) That’s when character flaws become fun, when they affect the plot or the romance. Oh, especially the romance. Oh, we only thought he was a bad guy, a jerk, or cheating on her. But guess what? He’s actually great, perfect, dreamy, and he’s been completely devoted to her and only her the his ENTIRE life. Whew! That was close. This misunderstood-but-actually-perfect love interest has been done so many times it’s boring. No, it was boring 30 years ago. Now it’s cliché. I’d love to see more stories where the romantic conflict is caused by flaws, real character flaws. Maybe the love interest understands your main character a little too well, and quite frankly, it kind of freaks them out (consequence). At the very least, it should disappoint them because that might be a catalyst that kicks your main character in the rear and inspires them to change. 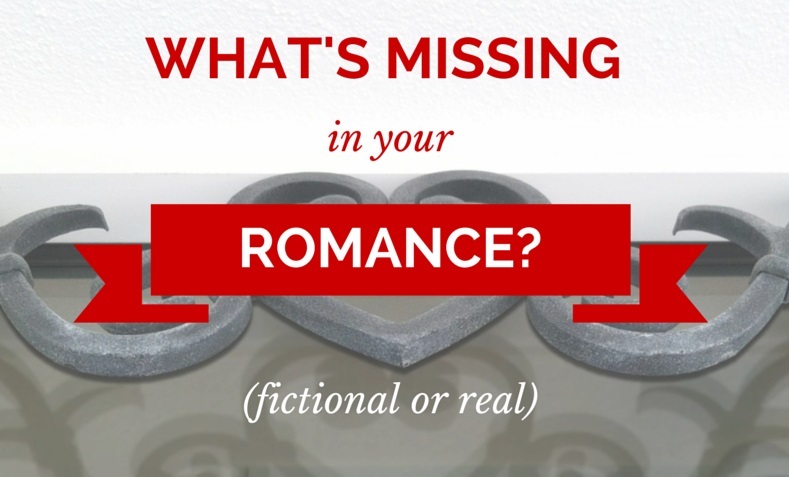 Maybe your main character isn’t even aware they have an issue, and the romantic interest can help point it out (or vice versa). 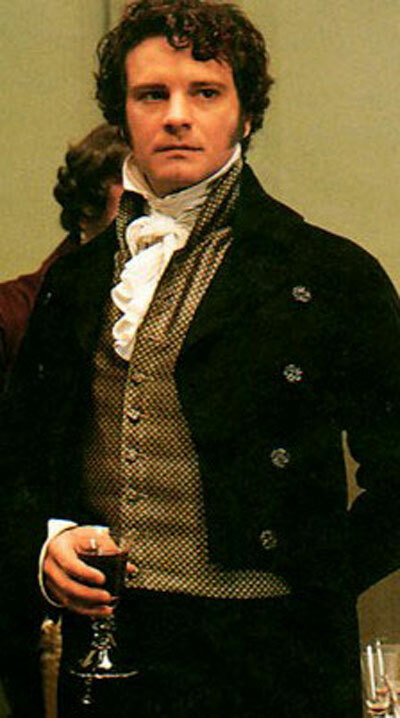 Many romance authors have tried to mimic the Mr. Darcy character and have failed. So why is Mr. Darcy NOT the perfect, misunderstood love interest? Because Mr. Darcy isn’t perfect. He has actual flaws. True, Lizzie misunderstood who and what he was for most of the book, but some of her reservations weren’t misunderstandings at all. She was seeing a mixture of true flaws and misunderstandings to the point she completely decided against him. She spends the second half of the book untangling truth from fiction. But it works because Mr. Darcy has real flaws. He’s a little snobby and turns his nose down at Lizzie, her family, and helps turn Mr. Bingley’s nose down at Jane, too. His parents spoiled him rotten as a child. He admits this. He’s also reserved and bluntly honest, which gets him into trouble with Lizzie many times (consequences). On the flip side, Lizzie is obstinate and quick to make judgments. Her pride gets squashed a few times, and she lashes out because of it. This also causes issues (consequences). So, yes, the best part about Mr. Darcy is that we think he’s this horrible, awful person until you realize he’s not. But in reality, some of his flaws are real, and we love him all the more for it because we can relate AND because he changes. By the end, he’s no longer snobby, and he learns to express what and how he feels. They must recognize it’s a flaw (because of the ouch consequences), and they must learn from it. What makes readers hate flawed characters is when the character doesn’t learn from their snarky, dishonest, rude behavior. If the character doesn’t show any growth, the readers starts to think, “Okay. Now you’re just immature and annoying. When are you going to grow up?” And then they put the book aside. So don’t forget step number 3! That’s what makes them relatable. That’s what makes them a hero. And don’t wait too long. This needs to be a gradual learning process, a give and take wrestle match that happens over the length of the book. Once your characters learn their lessons, give them a chance to showcase their new strength. Let them shine. They’ve worked hard on this flaw. Give them the perfect scene or moment to show it off. Ideally, this is the end of the novel. ACT I: Introduce the flaw to the reader, and possibly make the character aware of it as well. ACT II: Show consequences of this flaw. Make the character want to change. ACT III: By the time you’re nearing your climax, the character has learned the lesson and is changing. If you can swing it, this change will help them achieve the story goal. And if you can’t work it into the climax, at least give them a chance to showcase their new strength in the last chapter. What are your thoughts? 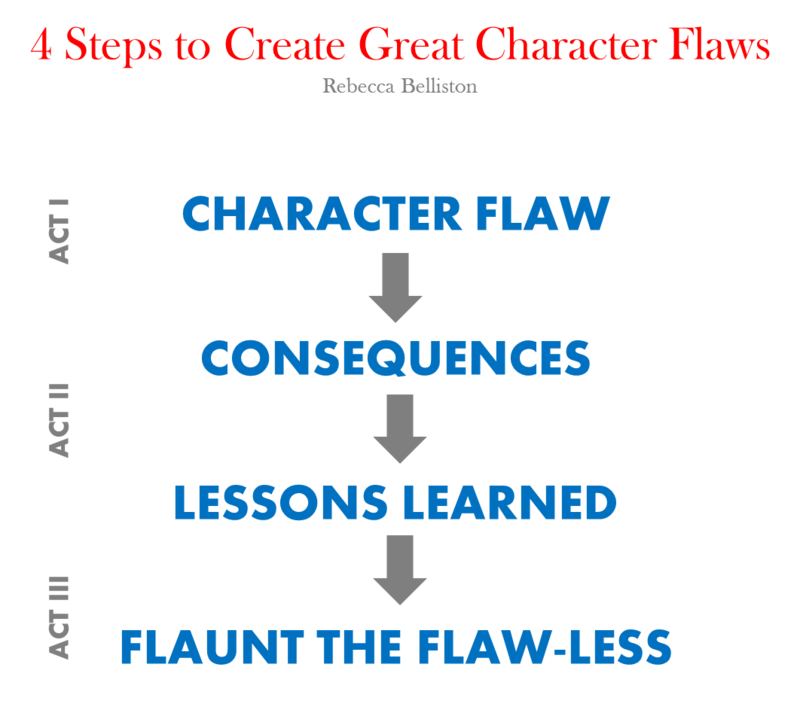 Any tricks you’ve learned for writing character flaws? Have you read any books with a character who is too flawed or too perfect? Comment here. Great post. You should be a writing teacher. This was an excellent post! You succinctly put into words what I’ve been thinking about this last month and gave us a nice formula to help us remember it. I’m going to post this on our Unicorn Bell Facebook page. Thanks, Charity! Glad it could help. THANK YOU for correcting me. It is Mr. Bingley. And here I claim to be a Jane Austen enthusiast. Ugh. But I completely agree with you. The flaws of both characters drive the plot, which makes it so great. Thanks for your thoughts! Your love for Jane Austen stands unquestioned. Sometimes, our fingers get carried away and mistakes are made. Next Next post: The Dystopian Genre: The True Public Opinion Poll?